Eminem has dropped a surprise album. The 45-year-old rapper - whose real name is Marshall Bruce Mathers III - only released his last LP 'Revival' eight months ago, but he hasn't kept fans waiting too long for some new material as he put out 'Kamikaze' on Thursday (30.08.18) night without any pre-warning. Taking to his Twitter account, the 'Lose Yourself' hitmaker admitted that he promised himself he wouldn't "overthink" this album so that it was completed faster. He explained: "Tried not 2 overthink this 1... enjoy. 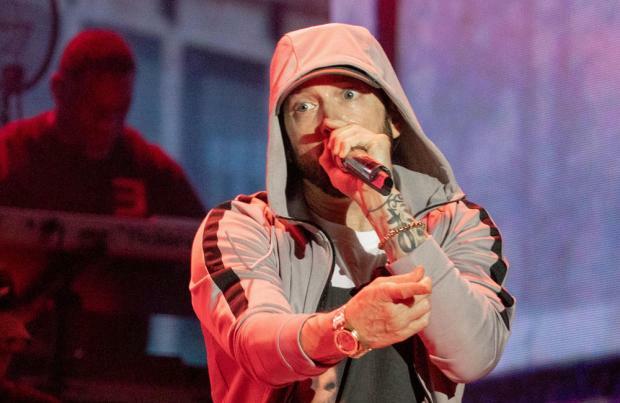 #KAMIKAZE Out Now - http://shady.sr/Kamikaze (sic)"
The new release is made up of 13 tracks - including the song for the upcoming 'Venom' movie starring Tom Hardy and Riz Ahmed - and features Joyner Lucas, Eminem's manager Paul Rosenberg, Royce Da 5'9″, and Jessie Reyez. One of the tracks include a voicemail from Paul, who says: "Are you really going just to deride everybody who, you don't like what they have to say about you or the stuff you're working on? "I don't know if that's really a great idea, it's like what's next, 'Kamikaze 2,' the album where you reply to everybody who didn't like the album that you made replying to everybody that didn't like the previous album? It's a slippery slope, I don't know if it's really a good idea." The rapper also targets President Donald Trump and Vice President Mike Pence, the Grammy Awards and the press in 'Kamikaze' while also showing off his vocals.